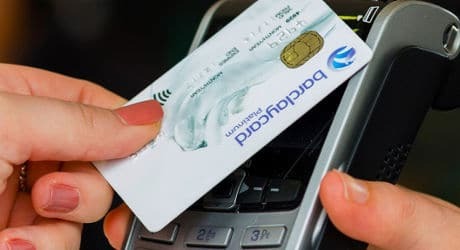 Contactless spending by Barclaycard’s UK customers in pubs and bars, pharmacies, supermarkets and on commuter transport increased 164% in 2015, the company has revealed. The news comes as The UK Cards Association reports that total contactless spending reached £7.75bn last year — three times the amount spent in 2014. The commuter transport sector saw the biggest rise in contactless spending last year at 532%, Barclaycard reports, followed by pharmacies (207%), pubs and bars (188%), supermarkets (177%), service stations (176%), newsagents (110%), fast food outlets (108%), restaurants (104%), convenience stores (100%) and caterers (96%). More than a quarter of active Barclaycard customers now use contactless technology to pay for goods and services every month, and customers now make more contactless transactions in a single calendar month than were made in the whole of 2013. “The speed and ease of contactless payments means this is fast becoming the preferred way for consumers to pay for many everyday purchases,” says Tami Hargreaves, commercial director of digital consumer payments at Barclaycard. “An increasing number of merchants are also choosing to accept contactless payments in response to this demand.